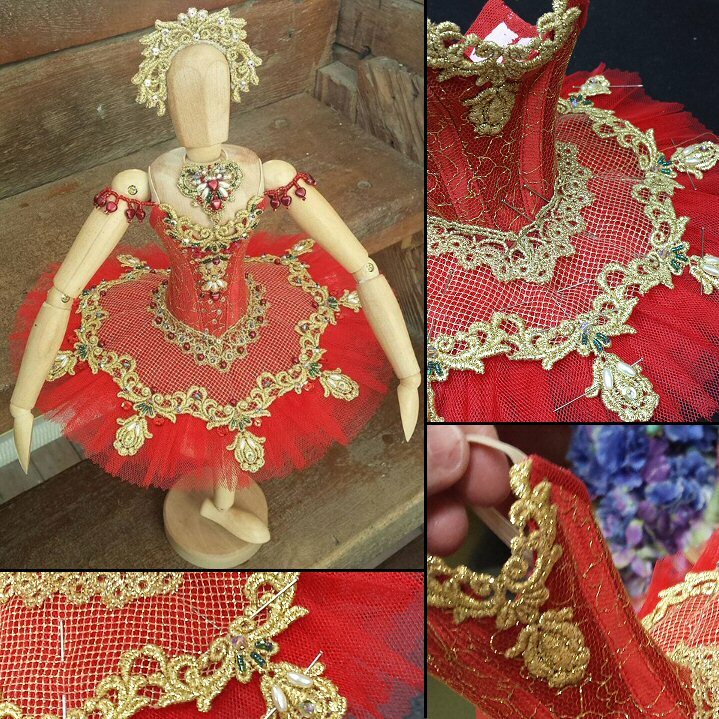 An exquisite miniature version of an authentic professional classical ballet tutu. 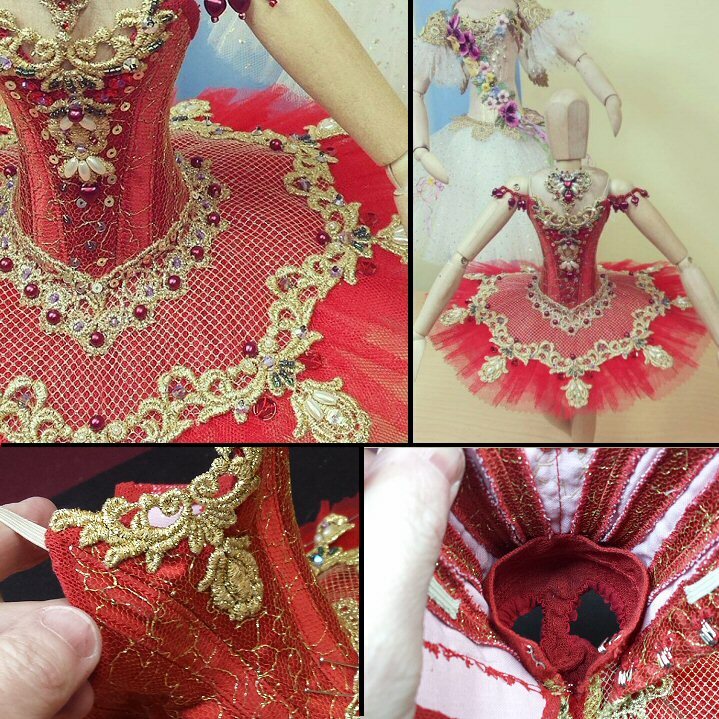 Accurately scaled, removable and with authentic fastenings and embellishments. The tutu was exhibited at Parndon Mill Gallery and is for sale for £290. Web page design Copyright ©2017 Theresa Blake. All Rights Reserved.